It’s extremely upsetting when doctors are dismissive of your symptoms or devalue your perceptions about your own health. But the worst thing that happens when doctors don’t take you seriously is that real medical problems often get misdiagnosed and go untreated. And if you are a parent trying to advocate for your sick child, it can be all the more distressing to feel ignored. According to activist and author Claire Galloway, when doctors don’t take patient concerns seriously, it’s a symptom of a bigger power imbalance that can exist between patients and medical professionals. Galloway recommends that healthcare professionals be periodically retrained, with an emphasis on becoming better listeners and learning to better handle cases that aren’t black and white without shutting down patients. They should also be retrained on soft skills like learning to treat patients with greater empathy and compassion. Until that happens on a broad scale, you’ve got to be your own advocate when you know something is medically wrong—and you must also advocate for your children in the same way. Galloway offers these tips to help you advocate for yourself and your loved ones when you’re experiencing chronic or hard-to-diagnose symptoms. Gather the troops. When you are in the middle of a health crisis (either yours or your child’s), it can be very difficult to be an advocate all by yourself. So when you visit the doctor, don’t go alone. You may be nervous, exhausted, or stressed, and this isn’t the time to be anything less than prepared. Having a trusted companion in your corner can help you present a united front that softens the physician’s dismissiveness and leads to a more open-minded approach. Bring your spouse, an older child, a neighbor—anyone who can corroborate the symptoms you are reporting. Be on the lookout for signs that you aren’t being taken seriously. Take note of any dismissive language you hear from your doctor about your own health concerns or those of your child. Below are a few red flag phrases to listen for. If you hear anything like this, it may be time to find another doctor. He/she is an imaginative child. You’re a first-time mother; what do you know? Fight against false narratives. If you must go it alone, fight against the message that you are overreacting about your symptoms or your child’s symptoms. Try to keep your composure. When you or someone you love is sick, it’s totally understandable to feel frustrated, angry, and emotional when your concerns are dismissed. But Galloway urges you to try to stay calm during your appointment if at all possible. And if you do become visibly upset, take a deep breath, forgive yourself for being human, and refocus your energies back to what is important. Write down your questions before the visit. Before you go to your appointment, write down any questions you have about the symptoms you or your child are experiencing. Being prepared will make you feel calmer during the appointment, and your physician will appreciate hearing a concise checklist of your concerns. Keep flawless records. Keeping a journal that documents the symptoms not only helps you keep track of important medical details you need to remember, it also provides your doctor with info that can better help them form an accurate diagnosis. Do your own research. Go to the library or go online to learn all you can about your or your child’s symptoms. Make copies of any information you find that supports any theories you have about what is wrong. You may also want to contact local or national medical agencies to gather pertinent and substantive information that matches your concerns. Take this information with you to the appointment. Connect with other people who feel dismissed. When you are fighting for an accurate diagnosis involving a chronic health problem, it’s a long and often discouraging journey. Galloway encourages you to find support from others who are also struggling to find answers. Talking with others about your shared experience will empower you to keep fighting until you get the correct diagnosis and the treatment you need, and you can help others to do the same. Be on the lookout for a gender bias. When Galloway fought to get a diagnosis for her son’s symptoms, she felt that much of the dismissal she experienced was a sexist reaction from male doctors in particular. If you feel discriminated against or not taken seriously because you’re a woman, find another doctor immediately. Don’t be afraid to get a second (or third) opinion. Do your best to work with your first-line medical team, holding a firm line that you need answers. But if you hit a brick wall and continue to feel dismissed, take your concerns elsewhere and explain why. Maintain an expectation that you will be heard and present your concerns as clearly and concisely as possible. Gather referrals from people you trust. 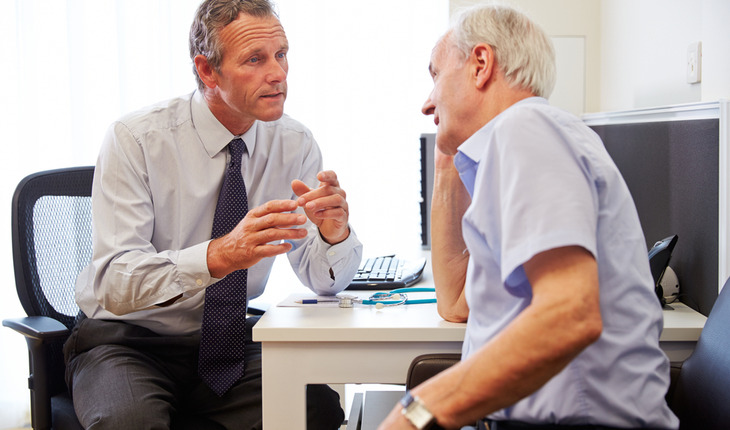 You can often find a good doctor from word-of-mouth referrals. Ask people you trust—friends, colleagues, neighbors—for suggestions. If you know of someone who has had the same symptoms you are experiencing, find out who is on their medical team and consider booking appointments with those doctors. Advocate, advocate, advocate. Whatever you do, don’t give up hope that someone will believe you. Don’t fold. If you know something is wrong with you or with your child, never take no for an answer. Fighting for both of you is the very best gift you could ever give. Claire Galloway is the author of A Call to Mind: A Story of Undiagnosed Childhood Traumatic Brain Injury. She has been advocating for greater awareness of closed-head traumatic brain injury in children since 2008. She has spoken at several brain injury conferences and to students of education. This is her first book. She resides in Virginia with her husband, Mark.